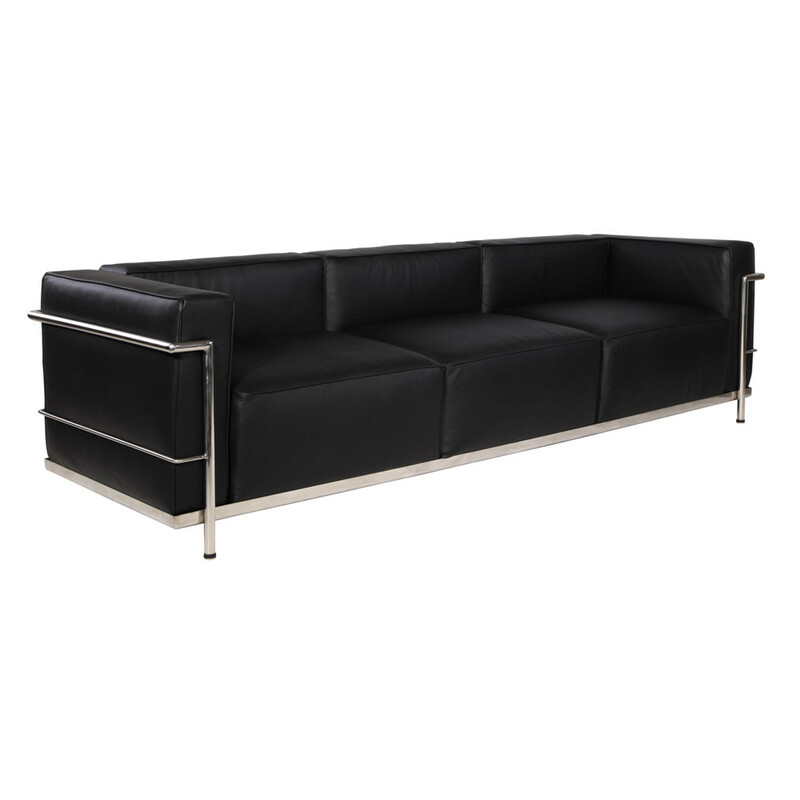 LC3 is a well recognized modern Leather sofa originally designed in 1928 for the Maison La Roche house in Paris. 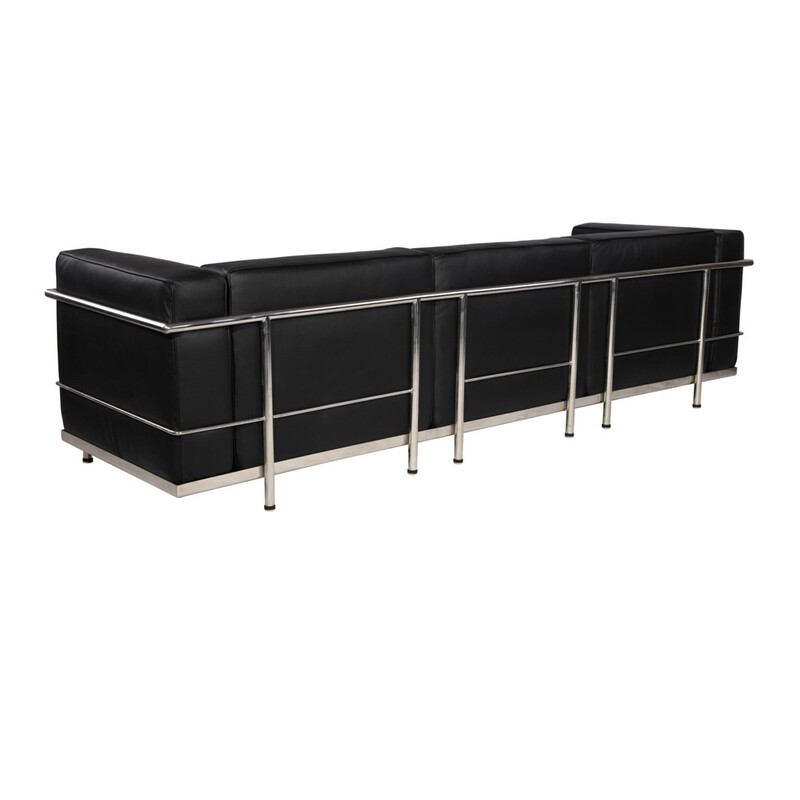 LC3, like the original design was revolutionary in its making as it was not built over a wooden frame. 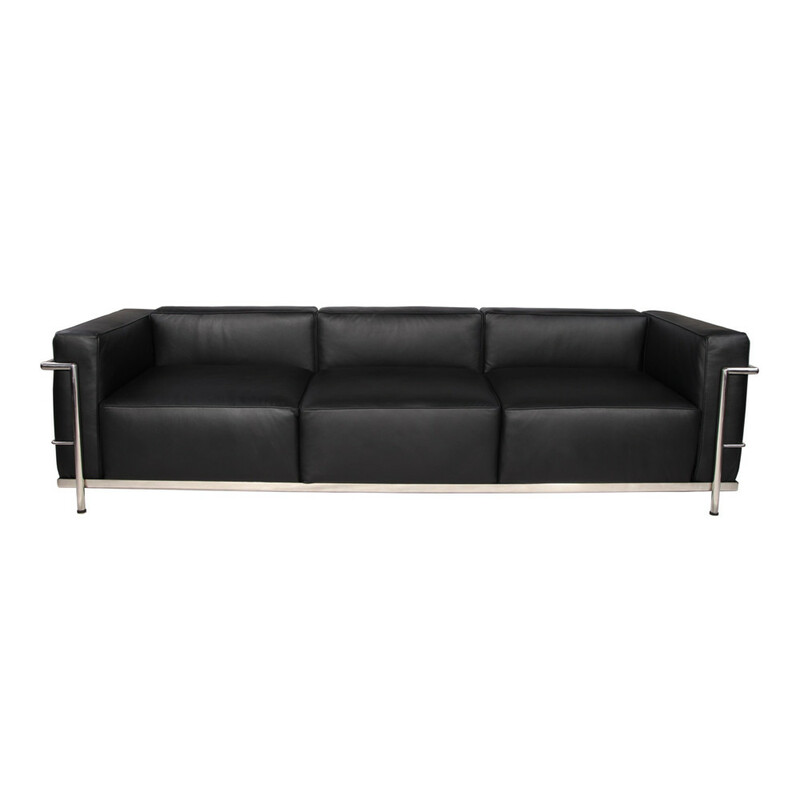 The entire Modern Sofa is built around the cushions with a metal exoskeleton and base network "spring webbing". Remarkably comfortable, LC3 was appropriately dubbed [cushion baskets." Yadea offers the highest quality reproduction of this series on the market. We specialize and understand fully the intricacies of the original design. From the supple Genuine Top Grain Premium Soft Aniline Leather to the plump generously filled and wrapped cushions, our full list of features means you don`t have to settle for an inferior reproduction. You wont find a solid wood frame as the original was not built with one. 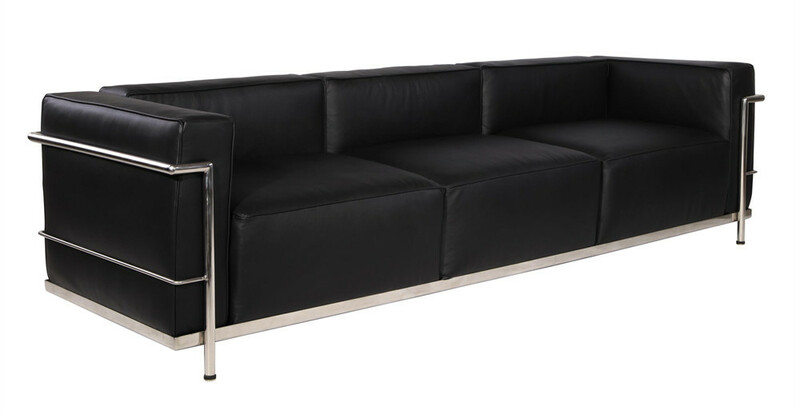 The cushions are meant to take on a somewhat plump stuffed appearance verses a hard square cubed look. 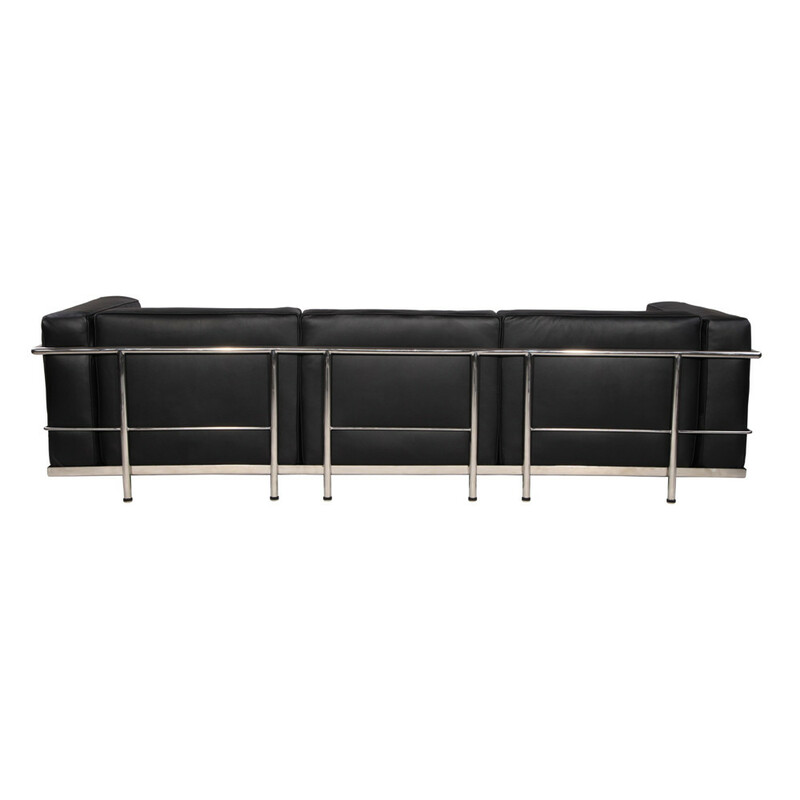 The base below the cushions features a webspring platform for added comfort. 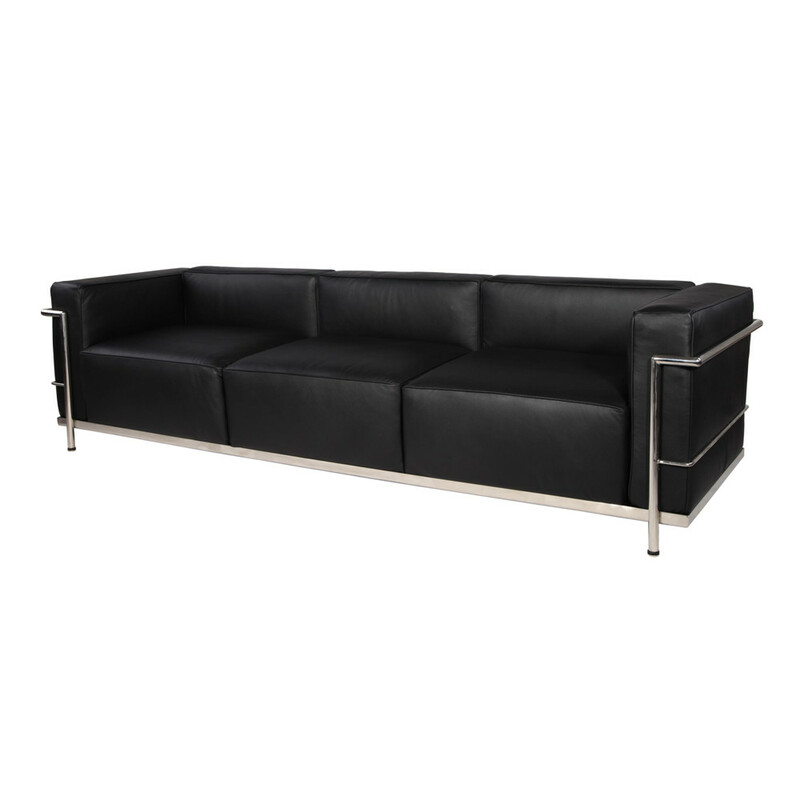 The details in scale are important with all reproduction pieces and LC3 Sofa is no exception. Compare this reproduction anywhere for its highest standard of exacting detail. You may find the accuracy of this reproduction second to none. 6.Can i get my money refund if i receive a defect Lounge Chair or Dining Table?